The Deus Ex series is known for a lot of things: Cyberpunk conspiracy intrigue. Player choice. Overcoming life's cruel obstacles by stacking hella boxes. But mainly, it's known for air vents. Unfortunately, it doesn't seem to understand how they work. 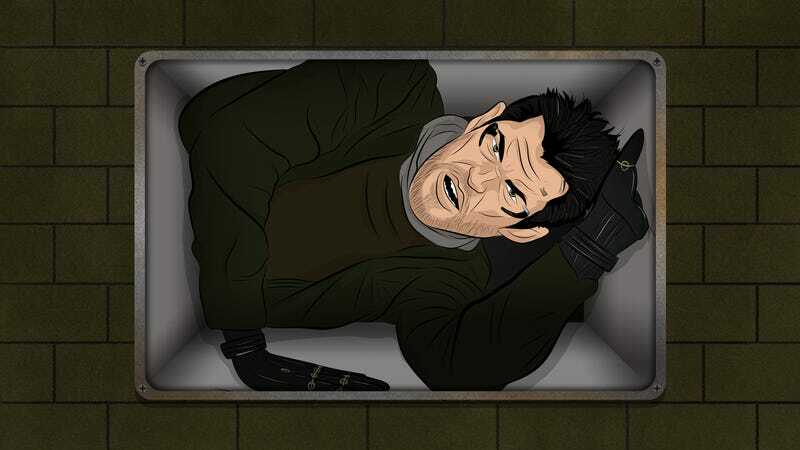 Deus Ex is infamous for its use of air vents as portals to vast realms of sneaky-sneakery. 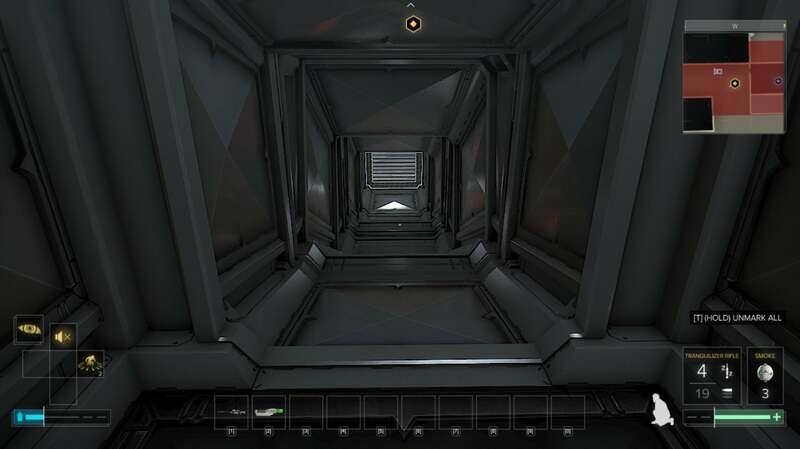 They're a staple of the series' level design, to the point that in the newest game, Deus Ex: Mankind Divided, you can't go through a single area without finding multiple vent paths large enough for a cybernetically augmented, trench-coat-wearing man to fit comfortably inside of. Over time, they have become a sort of Deus Ex fan in-joke, something I'm pretty sure the series' current developer, Eidos Montreal, is aware of. I'm now going to ruin the joke by being Extremely Serious about it. In one of life's more fortuitous occurrences, a grade school friend of mine, Chance Heath, grew up to become an architect. I decided to quiz him about Deus Ex: Mankind Divided's air vents, because why not? He plays games and knows a lot about buildings. I dare you to find someone with better credentials. "The size of the vent itself is gonna be proportionate to the size of a building," said Heath. "There are going to be air vents a person could fit inside, but it'd have to be a huge building." "Let's say you have a Manhattan-level skyscraper, and you're at the bottom floor, and you see big vents coming out," explained Heath. "(Actually in Manhattan, they're typically underground, but we'll just say for the sake of argument they're on the side.) If you pulled a grate away and got past the fan, the vent would curve directly up and go vertical immediately. You wouldn't really be able to be like, 'Hello, I'm just gonna shimmy on in here.' I mean, you probably could, and you could maybe climb the building from the air vent, but it wouldn't be practical." "You'd have [horizontal vents] sometimes," he added, "but typically big ones are gonna be vertical, and then they will branch off into smaller horizontal members — like a tree." "Typically they're gonna be large and blocked by a fan," he said. "They wouldn't have just a panel. But that would be more work [in the game] and kind of difficult." "When you're thinking about this, you have to think about air flow," Heath explained. "The way an HVAC system works — typically, with the ones you have vents for — is you're gonna have a big unit on top of the building. Giant coolers. The way these coolers work is, water flows through coils, and giant fans blow against it." "The air that's being sucked in and blown against this cool water then gets pushed down the building, into these shafts. That cools the building. Then there's typically an exhaust that exists underground or at the base. Vents at the base of the building are actually exhaust vents. You typically have two sets of vents: one for exhaust, and one for pushing the air." "What's funny, though, is the game's set in the future," said Heath. "We're talking about an ever-evolving piece of technology within buildings. If you look in Japan, they have a different type of air conditioning unit, and it's on a per room basis." "They don't use vents at all. That model is actually becoming more and more common in buildings in general. Air ducts are so archaic. They take up a whole bunch of usable space, and that's what buildings are about, right? The developers want to maximise space. If you have these six-foot-wide air ducts people are crawling through, that's a lot of space taken up." I also decided to run some specific situations past Heath, to see if they held up under scrutiny. They did not. The situation: A vent leads into a mechanical area between rooms. There's a gas leak, and the stuff's fatally poisonous. 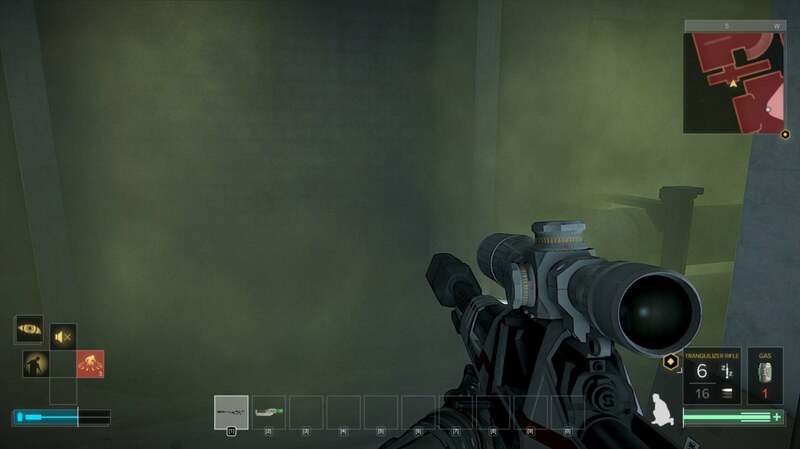 The only thing that keeps main character Adam Jensen alive while standing in a cloud of it is his Ultra Lung (TM) augmentation. Another vent that's only a few feet long and wide open leads out into the next room, where there are many evil soldier men. The purpose of air vents is to ventilate air. For some reason, the gas leak — airborne, as you might have noticed — is contained to the tiny space between rooms. The reality: "If you're able to be in the vent and then look out and see the people, that means those louvers are open," said Heath. "Those people should be dead. Especially if you can see the gas cloud." The situation: A vent is just kinda there, in a corner, really high up. You've got to move a crate to reach it, because Deus Ex is, more than anything else, a game about moving crates. The reality: "That's actually accurate, yeah," said Heath. "If an air vent's on the side of a building or near the footpath, it wouldn't be down on the ground. It would be up a little bit. You'd have to jump on a dumpster, pull the grate away, and look into it. So that's actually good." The situation: An air vent in an under-construction building in Dubai is full of sand. The reality: "If the air was on, no, it wouldn't really be like this," Heath explained. "But it could happen. It's somewhat iffy. Let's assume the air conditioning is off, and somebody left the vents open, and there's a direct sandstorm." "I don't know how it's getting inside. Maybe somebody opened a window on the far left. If the room to the left that I'm looking at is closed off, there's no reason there should be sand built up that way. But let's say somehow the fans at the top of the building are sucking in lots of sand, and it's getting blown down into here. The sand would get built up the other way. The ripples would be mirrored." The situation: There's a big ol' grate near the ground in somebody's apartment. Like most Deus Ex air vents, it's large enough to Fit A Man. The reality: "You never have something that large [in an area like this]," said Heath. "Unless it was a mechanical space." Which it was not. However, Heath went on to present a really interesting possibility for a fictional reality. "If we take an apologetic angle, maybe we could say this building is a retrofitted, refurbished building," he said. "Maybe originally this level was intended to be a mechanical space, but then the developer came back and said, 'Actually, let's make it an apartment.' And then the existing air system stayed in place, which is what would happen." "So the massive vent would stay. They kept the opening because the contractor was really lazy. Maybe they said something like, 'Instead of packing up the wall to be a smaller vent, we're just gonna throw this big one on there so I don't have to do more work.'" That actually fits Deus Ex's cyberpunk setting — where poor folks live in junked up hovels while the wealthy occupy cities on top of cities — really well! So who knows? Maybe that's what Eidos Montreal was going for here. The situation: A removable floor panel in an otherwise normal-looking house (owned by sketchy document forgers) reveals a secret air vent that spills out into a sewer. A sewer! The reality: "It's kind of odd to have something that leads directly to a sewer," said Heath. "I'm assuming this is an exhaust vent, which means the air is gonna be pushing out. That would be pushing any sewer smells back. Still, an exhaust vent would typically be going to an exterior space. We could call it really lazy craftsmanship, but the vent looks really well done. The vent is perfect." "But it's kind of wrong. There's other reasons you might want to access a sewer. They could have a trash chute here. They could've done this as a trash chute, and it would have been totally legit, especially if you're living in squalor." "The impression I'm getting is," he said, "Deus Ex's end-all, be-all solution for interstitial space is HVAC when there's more options. There are other ways you could have secret areas in a building without having to rely so heavily on the air system. There's mechanical spaces. If you're talking about going between rooms, there's electrical channels you can go through, depending on the kind of building." In fairness, I have come across a few crawl spaces in Mankind Divided that appear to function more like mechanical spaces, but they're in the minority. 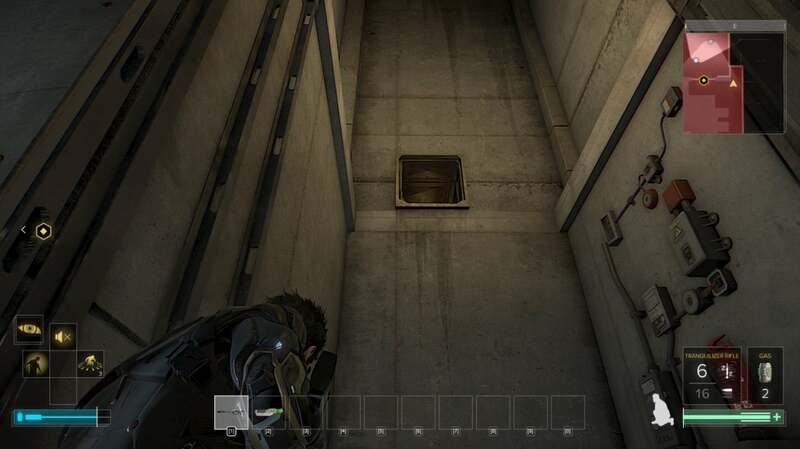 On top of that, I've found some locations where it felt like Mankind Divided's level designers used air vents as a shortcut for player choice, instead of proposing more interesting or creative solutions to problems. The best route was... yet another air vent. So Deus Ex: Mankind Divided (Pretty Much Entirely By Vents) gets a failing grade. I was wondering, though, if any games or other pieces of media passed my friend's strict standard of architectural judgement. He offered a few. In terms of movies, Die Hard didn't quite nail it, but it tried... or died trying. "It wasn't perfect, but you could tell they were trying," said Heath. "And the thing that justified it was, it took place in a huge skyscraper. The proportion of the size of the vent compared to the size of the building was plausible. Even then, you could see that Bruce Willis was having difficulty moving through them." He added that clambering through vents didn't always lead to ideal situations in Die Hard, but Bruce Willis had to. 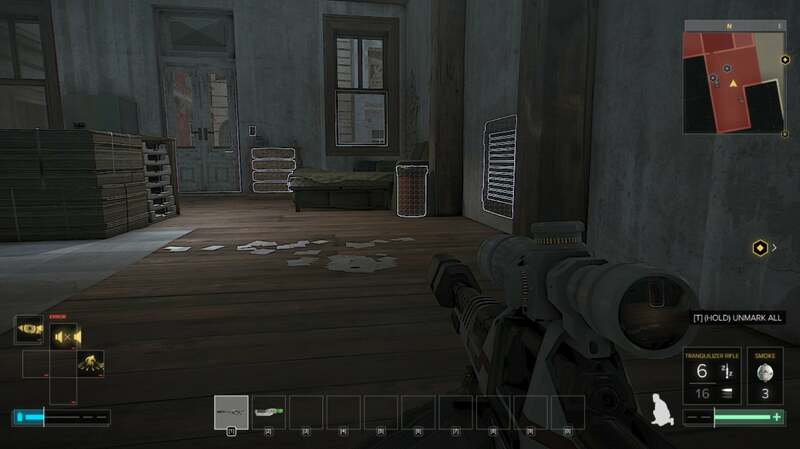 It wasn't like in Deus Ex, where some sort of guardian vent angel seems to be following you around, placing vents just where you need them and filling them with goodies like money and sniper rifles. It's demonstrative of an interesting dichotomy between architectural design in movies and in video games. Movies sometimes focus on cramped spaces, to create tension and, ultimately, funnel the action to a new location. 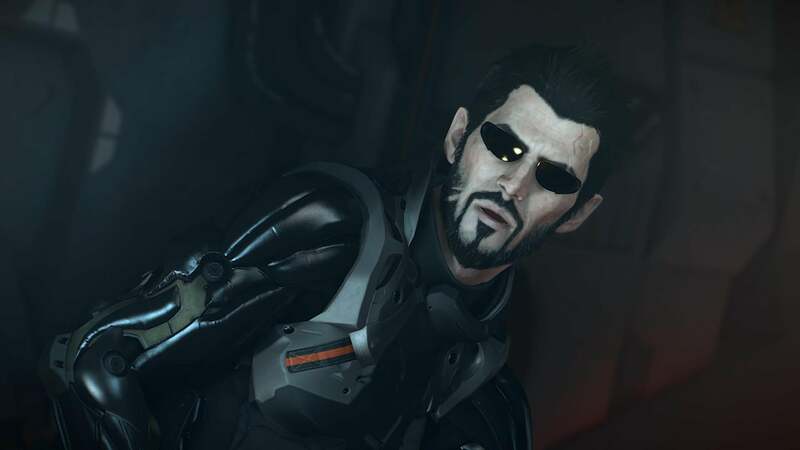 A game like Deus Ex, meanwhile, uses them as an opportunity for player choice and, often, movement between spaces, rather than as spaces themselves. It's the old movie vs game design juxtaposition: the former's a ride, while the latter's a theme park. 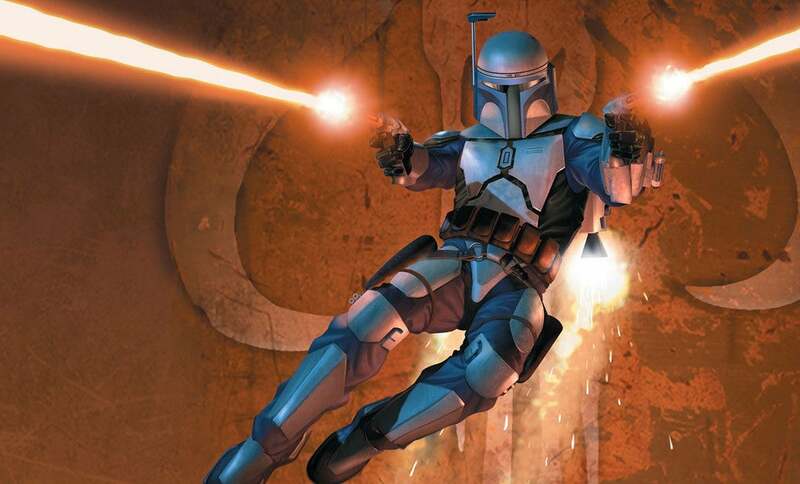 As for games that got key architectural elements right, Heath pointed to... middling PS2/Gamecube game Star Wars: Bounty Hunter, of all things. "There's a lot of spaces in that game where you circumnavigate or find hidden items," he explained. "You'd use mechanical space and ventilation shafts. The spaces were pretty general, but even though it was a more futuristic world, they were more justified." "There was a scene where you were going through the sewers, but the placement of sewers relative to buildings and even how water was flowing through the sewers was realistic. There were a couple of times when you went into a smaller space, and it wasn't necessarily defined as a duct or a mechanical space, but it felt realistic." So Mankind Divided fails the test, but perhaps the next Deus Ex will finally achieve that most lofty (and drafty) of goals: being the Star Wars: Bounty Hunter of air vents. I personally think in the future air vents should be upgraded to allow one man to stand comfortably with larger buildings accommodating an entire SWAT team walking abreast. Those vents are called sewers in video game. 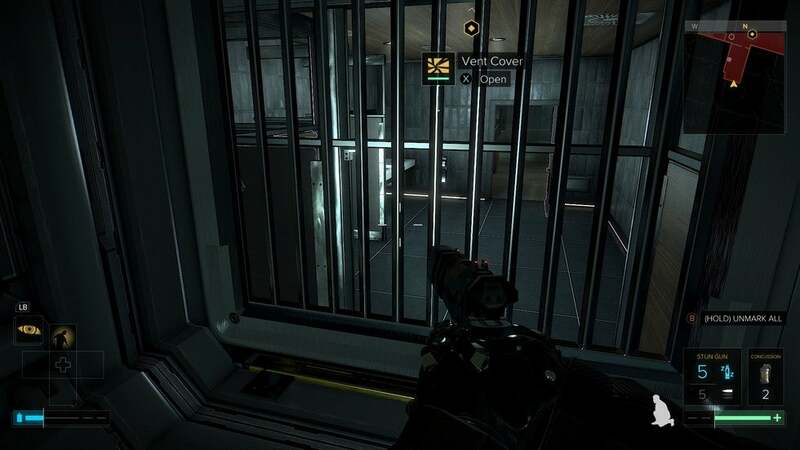 I like Deus Ex, but yeah, the vents don't make much sense and I'm not even a ventitecht. I still like them though. I really like how a lot of places have a meaningful placement of toilets though. Also, the buildings make a sort of sense. The bank in particular feels like it could be a real place. Lets not talk about Batman having vents and every building have places to crawl under enemies. Seems the same architect in Gotham likes putting grates on the floors on every building. Well given Wayne Corp no doubt Built/Designed/Funded half of Gotham I guess he was just setting things up for his night time activities? It's also worth pointing out that if you actually did climb into your average, large air vent, you'd make so much noise that security would be on to you in seconds. The sheet metal they use reverberates sound very, VERY loudly. Never, never, never ask an architect a question about engineering, though. To quote Cave Johnson, CEO of Aperture Science. "Attention, test prisoners attempting to escape through the air ducts. I don't know what nonsense you learned on TV, but in real life, air ducts just go to the air conditioning unit. It's also pretty dusty, so if you've got asthma, chances are you're gonna die up there. And we'll be smelling it for weeks because, again, the air ducts aren't a secret escape hatch, they're how we ventilate the facility." Easiest way to explain it. Q. Why are the vents huge? A. One word; Bureaucracy. Someone with money said so. It didn't matter if he knew what he was talking about, he had money, he said make them big to fit more air. It made sense to him. Q. The vents are obviously made of stronger materials, enough to hold a man/mech without bending. Wouldn't that be expensive and pointless? A. It sure is stupid, and wouldn't make sense for someone with a lot of money to pay for it. Thankfully though, the tax payers pay for it, cause that makes sense, the kind of stupid sense that happens everyday. I would have gone with maintenance drones requiring the space to move around. "I dare you to find someone with better credentials"
Any feedback on the Mission Impossible air vents? That show didn't and still doesn't, get enough love. Wait, what? Video games are unrealistic? You certainly need to suspend your disbelief when playing certain games. As a chemical engineer I cringe every time a games lets you blow up a process plant by turning a couple of manual valves. Also, real air vents in real buildings almost never get flushed out with massive amounts of water and/or fire on a regular basis. It annoys me slightly that games like Deus Ex and the Arkham games don't use logical or realistic architecture for their level design. On the other hand, I guess it's the developer's way of building stealth into their games. 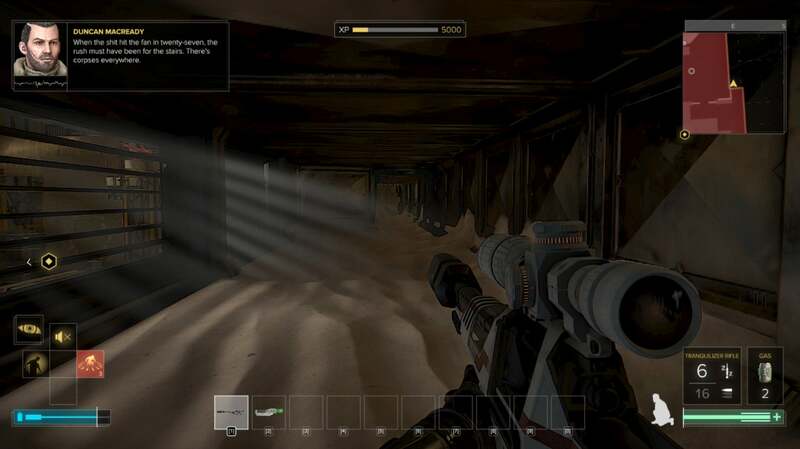 In any game in which enemies operate on line of sight, it would be impossible to sneak past them unless you a) can turn invisible or b) can hide youself in an unrealistically spacious and convenient tunnel. Still wish they'd come up with a better way of implementing stealth than saying "we will ignore how buildings work for gameplay reasons".